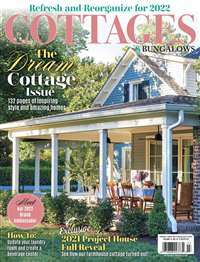 Country Living is a publication that is dedicated to bringing its readers the calming essence and cozy nature of this specific lifestyle. 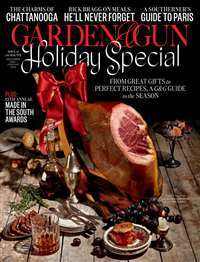 The contents of this magazine offer an abundance of information, tips, and suggestions on topics such as interior decorating, antique collecting, gardening, entertainment, recipes, travel and much more. 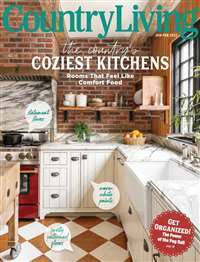 Readers with an appreciation and admiration for traditional UK country flair will undoubtedly find pleasure in Country Living's fresh monthly features and reliable regular departments, such as "home front," "cookbook," and "idea notebook." 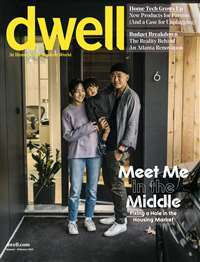 Every issue is a reminder to recognize simple joys, and to embrace the charm of easy living. 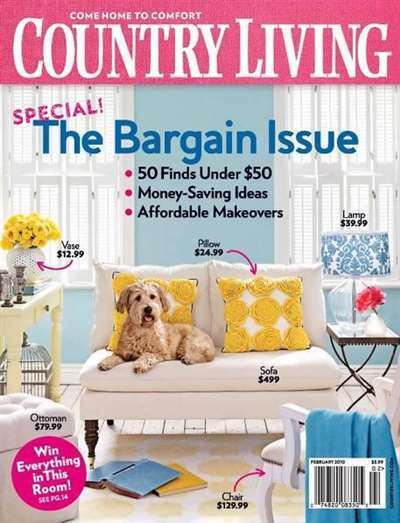 Create an inviting home that breeds happy memories with Country Living magazine. 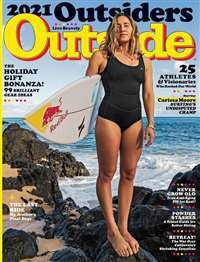 Subscribe to Country Living (UK Edition) Magazine at MagsConnect.com.